Finely detailed contemporary cable suspended glass display cabinet, in 8mm toughened glass. It uses polished stainless steel three way corner fixings to secure the glass. This cabinet features hinged lockable doors and a remote transformer. 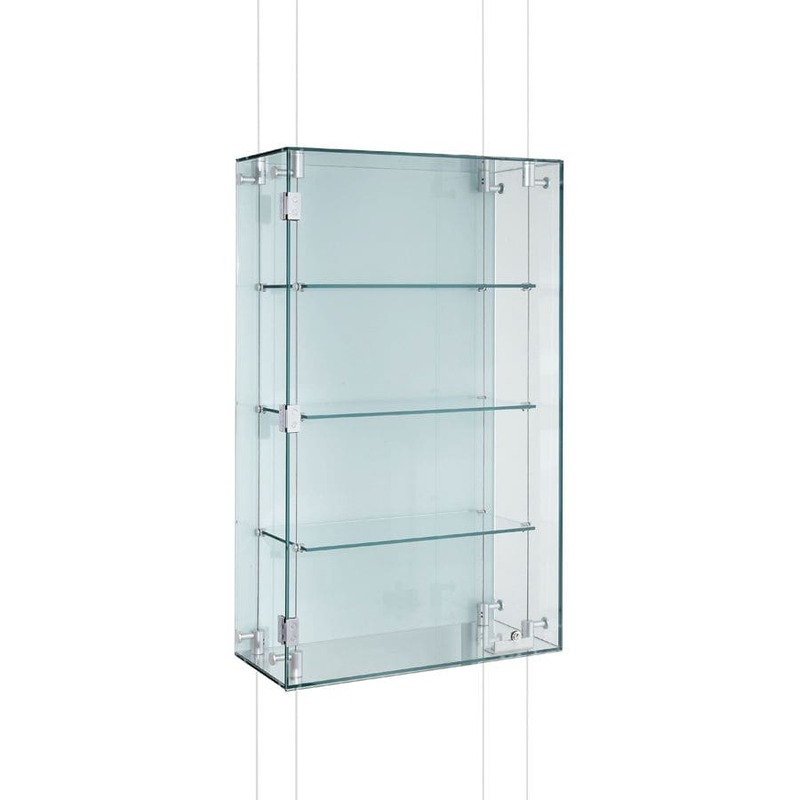 It has three cable suspended glass shelves attached to support cables with polished stainless steel shelf grips all height adjustable. Also available with satin anodised aluminium fittings as standard. Custom sizes and material finishes available. Shopkit offers a range of illuminated contemporary display cabinets with refined detailing and minimalist construction. They are beautifully made in high quality satin polished stainless steel, mirror polished stainless steel and satin anodised aluminium, combined with toughened glass, wood veneers and coloured laminates. ALL items within their range are available in standard and custom sizes, and they can design, manufacture and install many other different styles of cabinets and counters to suit all types of interior applications.